Acupuncture is the insertion of fine needles into the body at specific points shown as effective in the treatment of specific health problems. These points have been mapped by the Chinese over a period of two thousand years. Recently, electromagnetic research has confirmed their locations. Headaches, migraines, certain facial paralysis or nerve pain, partial weakness after a stroke, inflammation of nerve endings, bed wetting, frozen shoulder, tennis elbow, sciatica low back pain, and osteoarthritis. That depends upon the nature of the problem, the location of the points selected, the patient’s size, age, and constitution, and upon the acupuncturist’s style or school they came from. Usually, needles are inserted from ¼ to 1 inch in depth. If your practitioner has obtained the correct stimulus of the needle, the patient should feel some cramping, heaviness, distention, tingling, or electric sensation either around the needle or traveling up or down the affected meridian, or energy pathway. In Chinese, acupuncture is bu tong, painless. Some Western cultures may categorize these sensations as types of pain. In any case, if you experience any discomfort, it is usually mild. The best practice among acupuncturists in Canada today is to use sterilized, individually packaged, disposable needles. Needles should not be saved and reused for later treatments. This eliminates the possibility of transmitting a communicable disease by a contaminated needle. 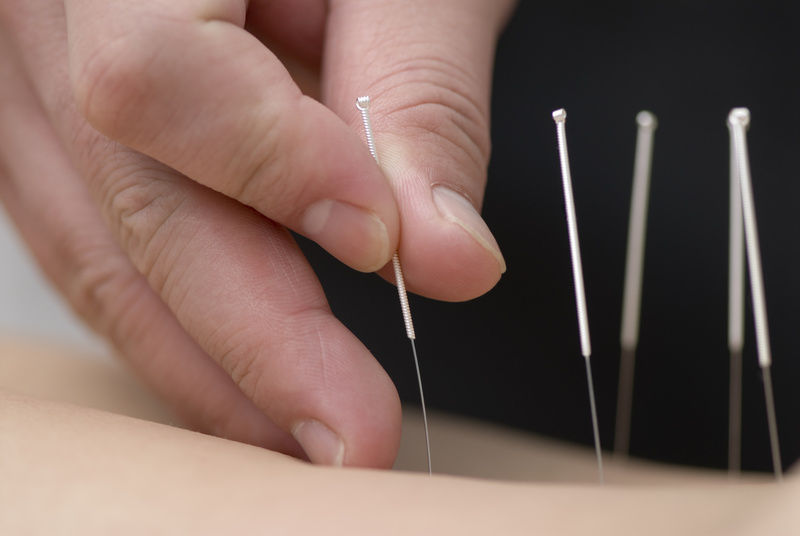 Modern Western medicine cannot explain how acupuncture works. Traditional acupuncture is based on ancient Chinese theories of the flow of Qi (Energy) and Xue (Blood) through distinct meridians or pathways that cover the body somewhat like the nerves and blood vessels do. According to ancient theory, acupuncture allows Qi to flow to areas where Qi is Deficient and away from where it is Excess. In this way, acupuncture regulates and restores the harmonious energetic balance of the body. In Chinese there is a saying, “There is no pain if there is free flow; if there is pain, there is no free flow”. Yes, there are. Acupuncture originated in China but has spread to Korea, Japan, Vietnam, Europe, the British Isles, and America. In different countries, different styles have developed based on differing opinions as to theory and technique. Patients should talk to their practitioner about their particular style and learn as much as possible about the treatment being proposed. Patients should ask about where the practitioner trained, how long the training was, how long he or she has been in practice, and what experience the practitioner has had in treating the patient’s specific ailment. 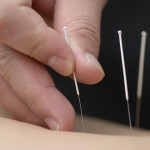 Acupuncture is a licensed and regulated healthcare profession in Canada. Ask your practitioner if your province requires a license to practice. In provinces that do not currently require licensing, patients should ask their practitioner if they are certified by the National Commission for the Certification of Acupuncturists. Acupuncturists who have passed this exam are entitled to add Dipl. Ac. (Diplomate of Acupuncture) after their name. That depends upon the duration, severity, and nature of your complaint. You may need only a single treatment of an acute condition. A series of five to fifteen treatments may resolve many chronic problems. Some degenerative conditions may require many treatments over time. Your practitioner will explain the nature of your problem and what treatment he or she is recommending. Your practitioner will tell you what benefits and risks there are to the proposed treatments, what other treatment options are available to you through this practitioner or by referral to another practitioner or physician. If you agree to go ahead with the treatment, your practitioner will tell you what progress to expect, what to do if you don’t experience that progress and what to do if you feel worse. Maintain good personal hygiene to reduce the possibility of bacterial inflection. To prevent loss, do not wear jewelry. Avoid treatment when excessively fatigued. Some people experience dizziness, nausea, cold sweat, shortness of breath, or faintness during treatment. This often occurs if you are nervous. Inform your practitioner immediately so he or she can readjust or withdraw the needles. Also let your practitioner know if you feel an increasing amount of pain or burning sensation during the treatment. If you find your treatment unbearable at any point, be sure to speak up so that your practitioner can make the proper adjustment or stop the treatment. You may note a spot of blood at one or more of the needles sites and/or a small bruise could develop. These should not be harmful, but please talk to your practitioner if you are concerned. Should I continue to see my medical doctor? Should I continue taking my present medication? What should I eat? Is there anything I can do for myself at home? What signs of success should I look for first and after how long? You should discuss all of your questions in person with your practitioner.